You might come into the situation that you have to set up a NetScaler SDX, but you don’t have any passwords to access it. That can be in a situation where the SDX was already in use before or a predecessor has started to set it up but didn’t note down the passwords. So what should you do insuch a situation and how is it possible to reset these passwords? You have to reset the passwords in that order. So let’s start with the XenServer. Here you have to enter “menu.c32” and press enter. You just have about five seconds to do that. 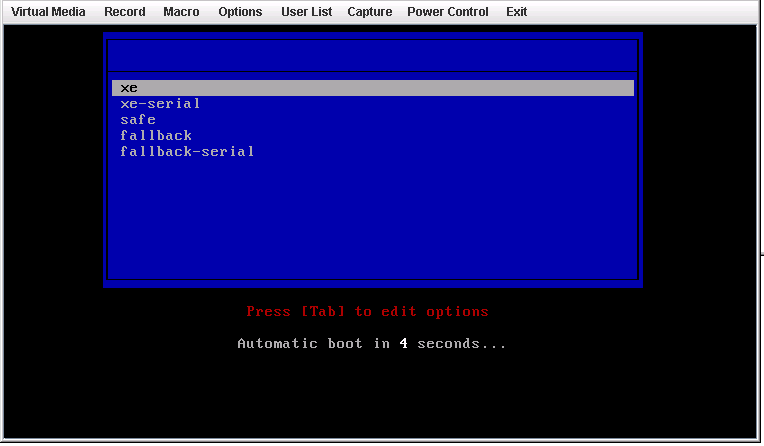 A boot prompt will then show up and you have to select “xe” and press enter. Again, you have just five seconds to do that. At the bottom you will now see some boot entry information. You have to adjust them a little bit to boot into single user mode. Search for “console=tty0”, delete everything behind that till the “—“ and replace it with “linux single”. 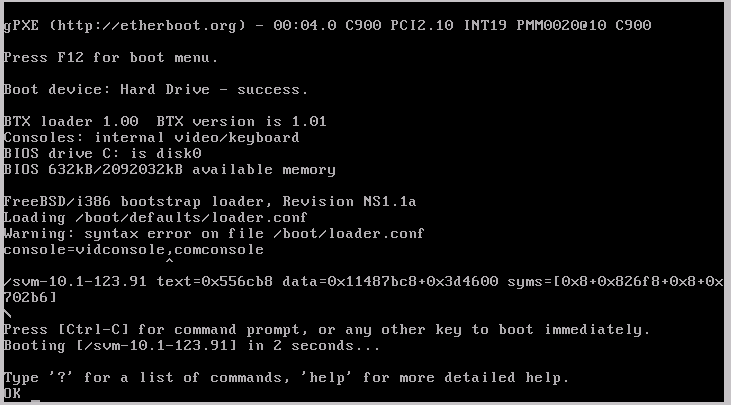 After the boot up is completed you see a command prompt (maybe you need to hit enter to get it). Just type “passwd” hit enter and enter the new password two times. After that use the command “reboot” to restart the NetScaler. When the system is up again you can easily test your new password in the xsconsole. 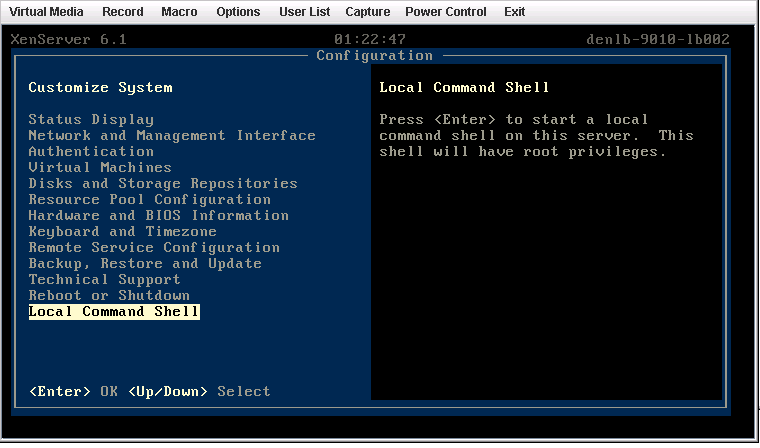 Go to “Local Command Shell”, press enter and you need to login with “root” account and your new password. Instead you can also use XenCenter directly to connect to the XenServer. 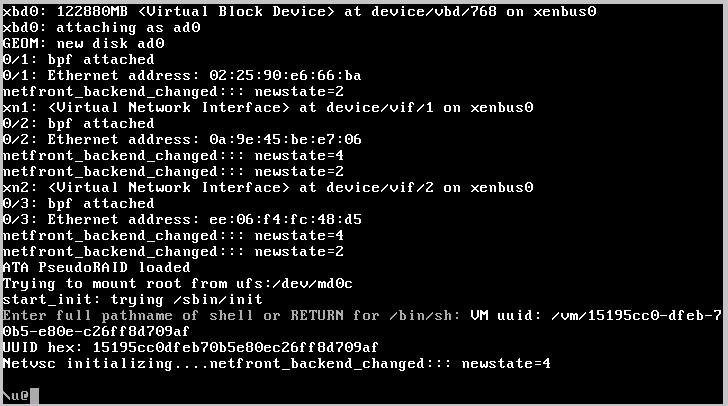 Now that you have access to the XenServer you can go and reset the password of the virtual instances. Start with the Management Service VM. 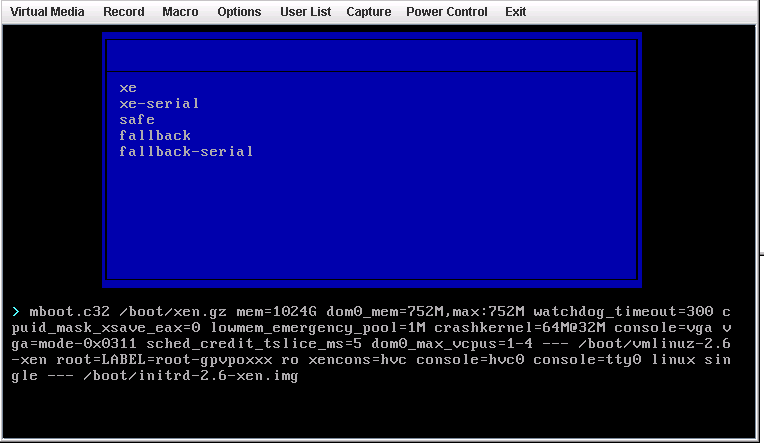 The easiest way is by doing it via XenCenter and the console to the VM. I hope the 5 seconds from the previous reset was not too hard, because for the next step you have only two seconds. Reboot the VM and when you see the text “Press [Ctrl-C] for command prompt” press Ctrl+C to interrupt the start-up sequence. You will get to a command prompt (maybe you need to hit enter to see it). Here type “boot –s” to get into single user mode. After the reboot you can login with the initial user/password combination “nsroot/nsroot” again. Der RISC.Blog beschäftigt sich mit den zahl­reichen Facetten moderner IT-Infrastruktur. Ange­fangen von neuesten Trends und Entwicklungs­stufen der Enterprise-IT berichtet das Experten­team der RISC über technische Problem­stellungen verschiedenster Projekte und deren detaillierten Lösungen. Wir hoffen damit anregende Diskussionen zu schaffen und laden Sie herzlich dazu ein, Ihre Erfahrungen durch Kommentare zu den einzelnen Themen zu teilen. Treffen Sie unsere Experten im Rahmen von Community-Events und von uns gesponserten Veranstaltungen. Nutzen Sie die Chance für den direkten Austausch. Bleiben Sie mit uns in Kontakt und finden Sie heraus, was gerade jetzt passiert.